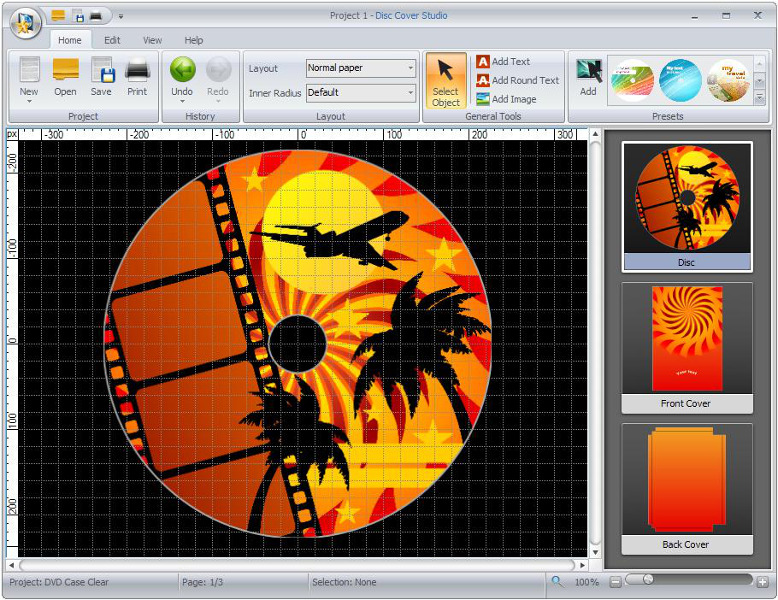 oft4Boost Disc Cover Studio is the easiest way to create cool disc labels, covers and booklets. Design your own disc cover. Use ready templates or import images from your computer. Zoom in/out to view details of the image or text. Create covers for various disc types: CD, DVD, VCD, Blu-ray discs, etc. Make colorful layouts: select pre-made templates or import your own images for a disc surface, front and back covers. Add texts, change color and font, size, make a round text. Use an special grid to presicely locate and edit images. Soft4Boost Disc Cover Studio is compatible with most of modern cover printers.